Kavanaugh isn't on trial. But Senate Republicans could help his confirmation chances by acting like he is. Legal analysis: After a sexual assault accusation against the Supreme Court nominee, lawmakers could take a cue from the criminal justice system. Senate Republicans may have a chance to salvage Brett Kavanaugh's nomination to the Supreme Court — if they follow precedent and conduct the hearing planned for Monday as if it were a criminal prosecution. Senate Judiciary Committee Chairman Chuck Grassley, R-Iowa, has invited both Kavanaugh and Christine Blasey Ford, the research psychologist who has accused the nominee of sexually assaulting her when they were in high school decades ago, to testify before the panel on Monday. Whether they will both appear — Ford has called for the FBI to investigate her allegation before she testifies, while Kavanaugh, who has vehemently denied the allegation, accepted the opportunity — and what form the testimony will take is still unresolved. Grassley said in tweet Wednesday that "we're going to continue to try to hear from Dr. Ford in any format she's comfortable" with — an open session, a closed session, private or public staff interviews — because "her information is very important." 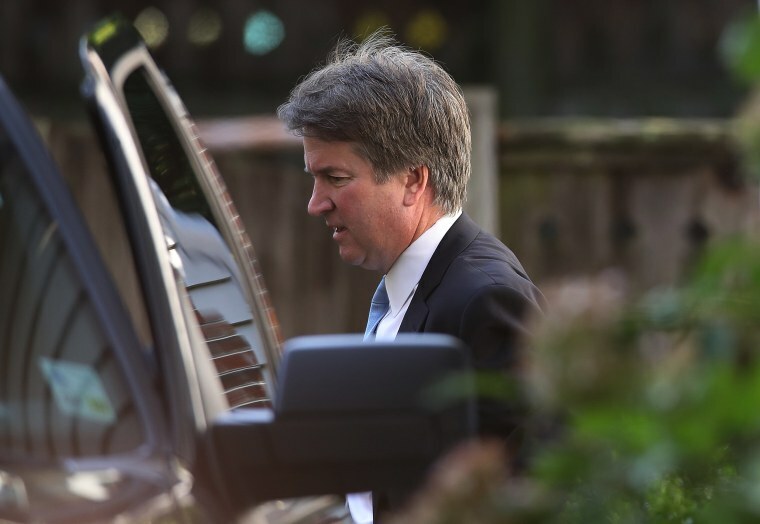 But no matter what happens Monday, Kavanaugh's confirmation hearings have taken a sharp, last-minute turn away from the candidates’ credentials and judicial philosophy, and delved into the moral character of the nominee. This sort of examination has happened before, most notably during the 1991 hearings for then-Judge Clarence Thomas, who was accused of sexual harassment by Anita Hill. If Ford does testify, Senate Republicans could deploy a similar strategy to ensure Kavanaugh survives this challenge to his nomination — making the hearing resemble a criminal prosecution for assault, and not a Senate confirmation hearing, where the burden of proof rests on the accuser. In the Thomas hearings, Sen. Orrin Hatch, R-Utah, demanded that no less than the due process standard for criminal defendants should be applied to Thomas as the nominee. Hatch and other Republican senators strategically characterized Thomas's hearing as a criminal proceeding, limited by the strictures of the rules of evidence and the burden on the accuser. But there's no requirement that a confirmation hearing be akin to a criminal prosecution or even a judicial hearing. The Constitution only requires the Senate’s "advice and consent" for judicial nominees, whatever that is. Over the years, that has been interpreted to include broad inquiry into the qualifications, ideology and even the personal morality of the appointee. Our criminal justice system, on the other hand, affords a high degree of procedural protection to criminal defendants, who are accorded an automatic presumption of innocence. A criminal defendant has no burden of proof; the burden rests always with the prosecution — and by implication, the accuser. The prosecution must satisfy that burden with proof beyond a reasonable doubt of the defendant’s guilt. If Ford, her attorneys or even Democratic Senators have the "burden," and Kavanaugh the “presumption” of no wrongdoing, then Kavanaugh could prevail if he is equally as believable as his accuser. In fact, using a criminal standard, Kavanaugh would prevail if the Ford testimony was simply not credible, and Kavanaugh never testified. If Republicans start using words like “burden” or “presumption," it means that’s exactly what they are doing. If they make this like a criminal trial in the minds of the public and their fellow senators, then Kavanaugh could survive.